Welcome to Week 3 of Year 6 here at PPF! Happy Good Friday and Easter to all those who celebrate it! This week our random number generator chose #39 - Lisa of Studio Lee. Lisa loves dreamcatchers, found a lesson on how to create her own, and ran with it to create this dreamy painting. Have a lovely, colourful week! Welcome to Week 2, Year 6 of Paint Party Friday! Thank you for making our 5th Birthday Celebration such a great one! Congratulations! 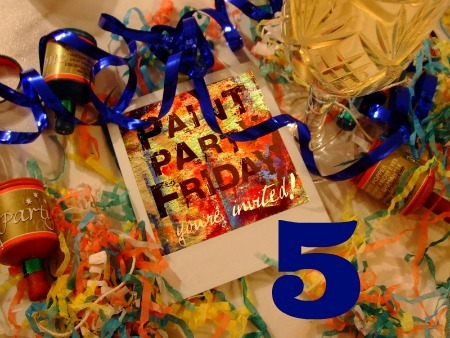 Please email us at: paintpartyfriday (at) gmail.com with your address. Welcome to Week 1, Year 6 of Paint Party Friday! Yes, you read that right... Today our little blog turns 5 years old!!! As we head into our 6th year, we can't help but reflect on all of the wonderful friends we've made, all of the beautiful paintings we've admired, and how this little space has turned into so much more than we ever imagined! We are so thankful for all of the painters (both old & new) who come to play each week... Without you, Paint Party Friday wouldn't be the creative, supportive, and energetic party place that it is! So, today we celebrate YOU, our PPF Family! 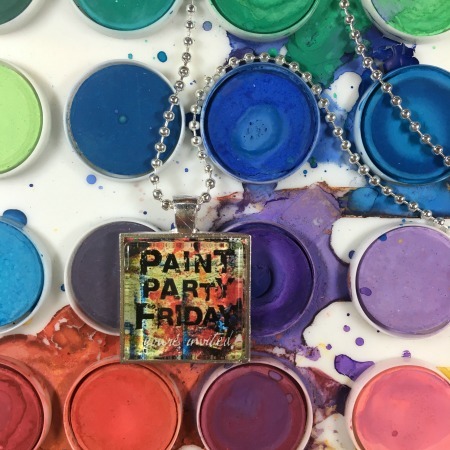 And, since no birthday party is complete without presents, we are giving away 5, 1-inch Paint Party Friday necklaces to celebrate our 5 year milestone! 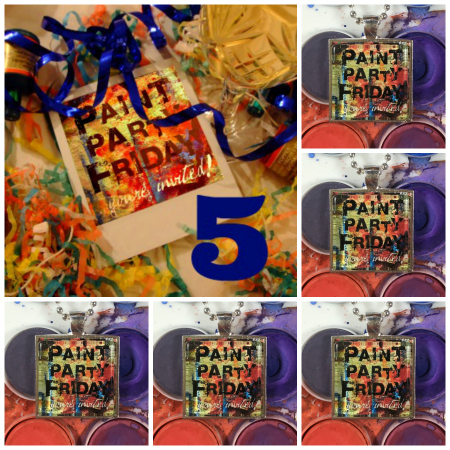 Welcome to Week 52 of Year 5 at Paint Party Friday! This week our random number generator chose #41 - Jeanet of Fairly Fabulous Creations. 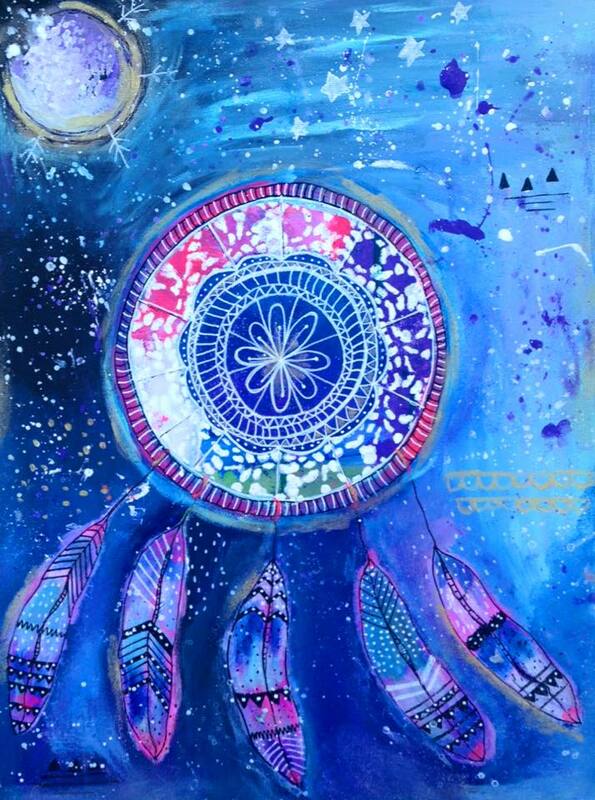 After "ages" of working on it, Jeanet just finished this beautiful painting. 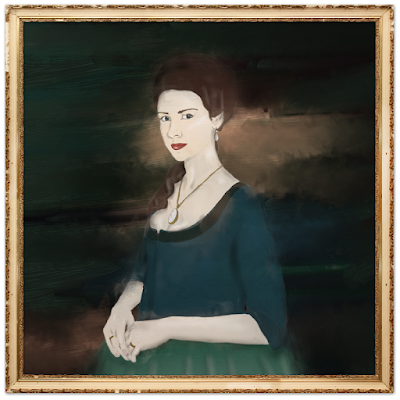 She also shows some of the work in progress on it, and a second portrait she is working on. Both were inspired by the TV series Outlander. P.S. Next week is our birthday/blogiversary! Hope to see you at that party! !